How did this mystery “third man” sneak in and grab 25% of these highly potential blocks from the big players? At The Next Oil Rush , we have been tracking this mystery entity as a ‘person of interest’ for 2013 and 2014. But first, what are we doing way out west? Prepare yourself for an exclusive trail of evidence that we have put together, and find out what has led us to our latest portfolio addition. So who is this “mystery third man” that somehow holds a 25% share in the two blocks that cover the MAJORITY of the highly prospective predicted Ungani oil trend? And what is so exciting about this region that had Buru and Mitsubishi rushing to grab any land they could get their hands on? You can see from the above image that Buru own all the land completely surrounding the blocks that cover the Ungani trend. On top of conventional oil, these prized blocks also contain unconventional oil and natural gas. You may have heard about unconventional oil and natural gas in the great American energy independence revolution of the last few years. Just think of the potential in the Canning Super-basin. Natural gas in its raw form has no odour and is undetectable to the human nose, but we at The Next Oil Rush think we’ve scented the trail of something good! And just who is it that we’ve been tracking? It’s always the quiet ones. 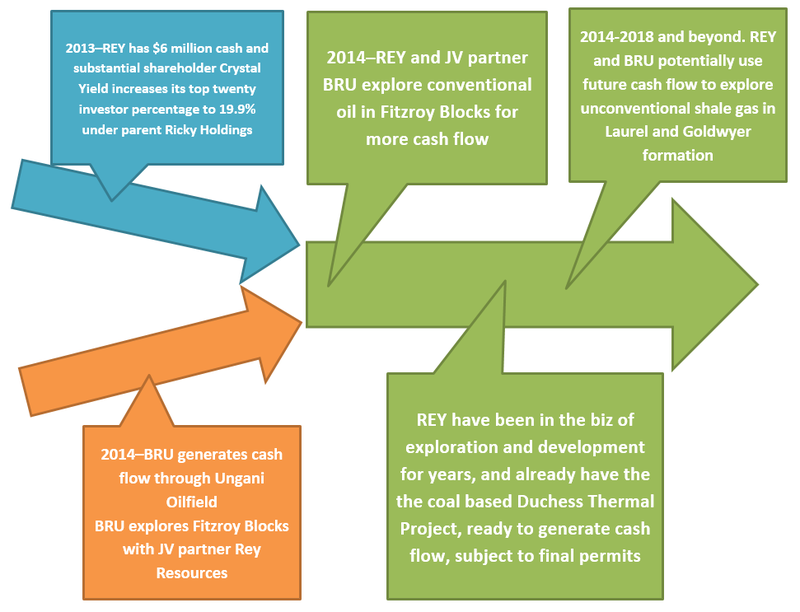 Rey Resources (ASX: REY) is the little known third man of the Canning Basin, alongside big brothers (and JV partners) Buru and Mitsubishi on the highly prospective blocks EP 457 and EP 458 covering the majority Ungani trend – known as the Fitzroy Blocks. 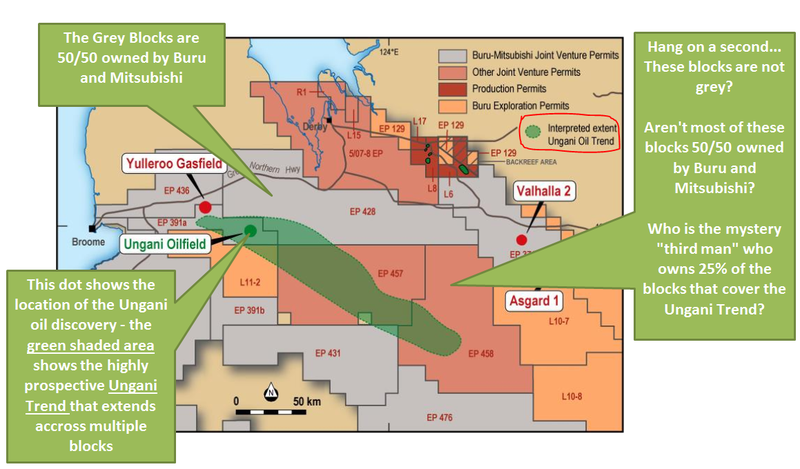 REY is capped at $40 million and holds a 25% interest in the Fitzroy Blocks right next to the recent massive oil discovery by Buru and Mitsubishi. 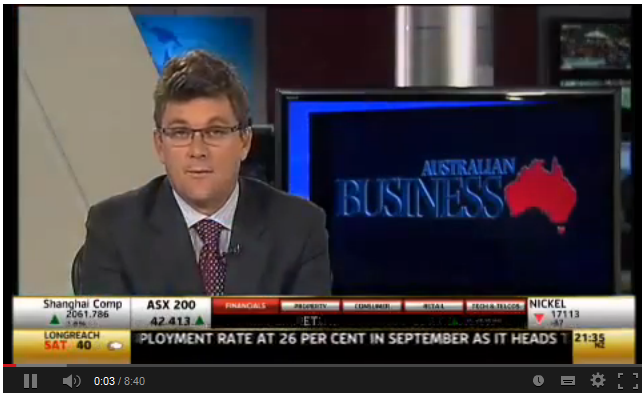 Buru is listed on the ASX (ASX:BRU) and is currently capped at nearly half a billion dollars! Mitsubishi is Japan’s largest trading company and is a major player in the oil and gas space (no, they don’t just make cars). REY boasts a CEO with 25 years in the resources business and a simple yet diverse business plan to become an energy producer (if they don’t get taken over in the meantime) by riding their interest in the Fitzroy Blocks, and sitting back while Buru do all the work. REY’s Fitzroy Blocks are located just 10 km from the latest big oil discovery at Ungani. 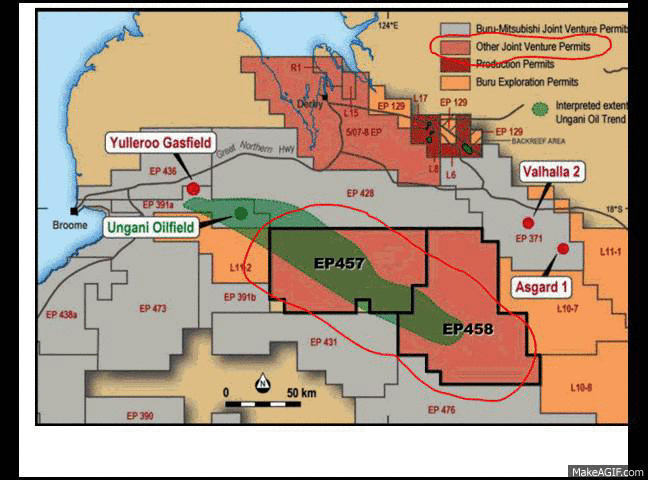 Buru owns highly prospective permits that form a giant ‘doughnut’ all around REY’s interests in the Fitzroy Blocks... and we at The Next Oil Rush think REY is the jam in the middle! Any discovery BRU makes in the surrounding “doughnut” will increase the value of the Fitzroy Blocks. 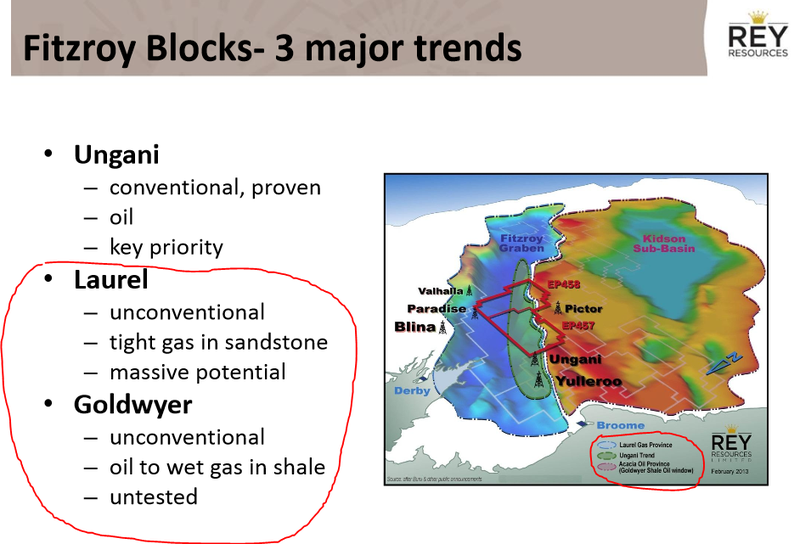 Not to mention – Buru and Mitsubishi are planning to drill 2 to 4 wells on the Ungani trend in the near future. 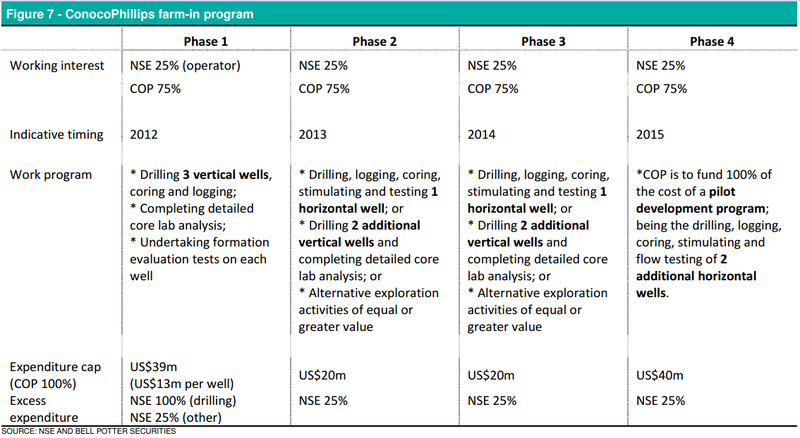 Considering all the potential discoveries in and around the “Fitzroy Doughnut” together with REY’s relatively small market cap, the team at The Next Oil Rush has been taking the opportunity to add REY to our portfolio as a long term play. We’re going to talk a little more about REY’s business plans below, and how the Canning Basin of Western Australia is the perfect place to implement them. REY made a crafty, if not downright canny (!) early investment in Canning Basin as far back as 2006 and increased their interest in the Fitzroy Blocks up from 10% to 25% this year... With Buru going into production next year, just what is it that REY knows about Canning Basin that others don’t...? Regular readers of The Next Oil Rush will be familiar with our long-standing interest in oil exploration – specifically in Africa Oil Corp (TSX:AOI), which was our ‘tip of the decade’ in February 2012 at around CAD$1.80 and has been as high as CAD$11.25 since – that’s over 600%! We published a report on Swala Energy (ASX:SWE) titled The last junior oil explorer operating in this exciting region with this same JV partner went up 800% in a matter of months . SWE has traded up as high as 70% since. Our most recent report on a company called Pura Vida Energy (ASX:PVD) titled Why has this stock got analysts predicting four thousand percent gains? 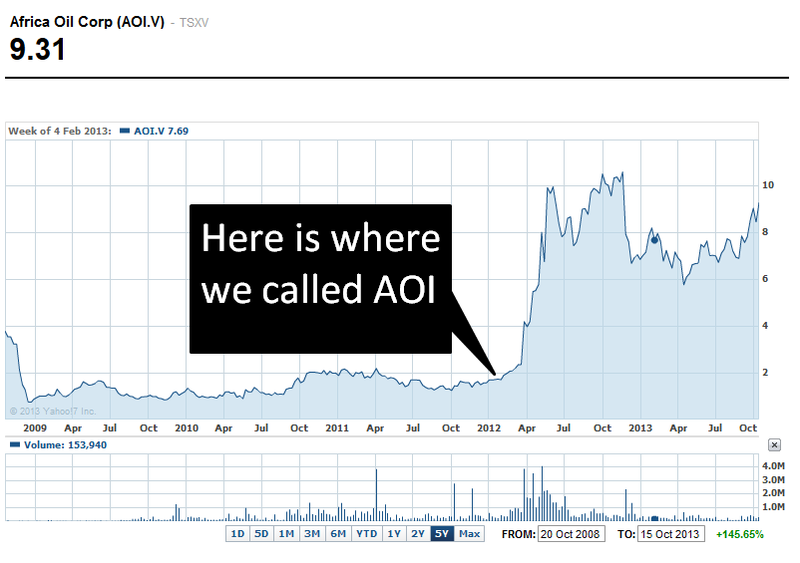 was released last month, and the PVD share price has risen as high as 40% since. 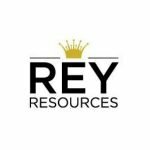 Naturally we are very excited to bring you our latest portfolio addition: REY Resources – remember, you heard it here first. We shouldn’t ignore what a “goldmine” (so to speak) Australia is for energy resources. In fact, Australia has recently been reported to hold 47 trillion cubic feet of recoverable shale gas reserves (more on Australia’s awesome energy prospects below). And in Australia, the Canning Basin holds potentially the country’s largest shale oil and gas reserves! Not only is REY is targeting conventional oil in its Fitzroy Blocks, but has some pretty exciting unconventional oil and gas assets too! You can’t get any closer to the action than REY’s Fitzroy Blocks – covering the lion’s share of the Ungani trend, and significant access to the Laurel and Goldwyer unconventional oil and gas trends. WORLD CLASS RESERVES OF OIL AND GAS IN THE FRONTIER FIELDS OF WESTERN AUSTRALIA’S CANNING SUPERBASIN, THE HOME OF OUR “THIRD MAN”. The Canning Basin, West Australia, has seen exploratory drilling for almost 100 years. Keep reading to discover recent changes in the region that has us very excited about our newest portfolio addition! But first, about the Canning Basin. The Canning Basin features the increasingly rare and advantageous setting of being relatively under explored AND firmly on dry land, with the majority situated onshore. Over 80% of the entire Canning Basin has potential for onshore drilling and production, which we all know means cheaper production costs and easier building of (or access to) infrastructure. We said we’d talk about those recent developments in the Canning Basin that have made us so interested in REY – Not only is Buru (REYs JV partner on the Fitzroy blocks and surrounding “doughnut”) slated to go into commercial production in their Ungani North Well in 2014, but brokers are speculating that New Standard Energy (ASX:NSE – another player in the Canning Basin and fellow member of the surrounding “doughnut”) will commence drilling activity in 2014, and development could begin by 2015. Any drilling action in the doughnut will be good for REY. And if you thought Mitsubishi was an impressive player in the Canning basin, New Standard Energy has brought in ConocoPhillips! 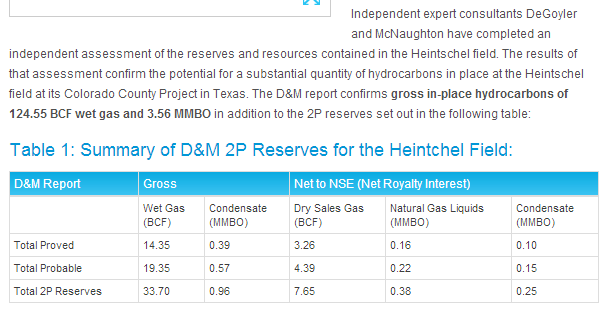 JV partners don’t get much bigger than ConocoPhillips in the Oil & Gas game. New Standard Energy have both conventional oil recovery interests, and along with experienced shale producer, US JV partner ConocoPhillips (COP) , also active unconventional gas exploration. The Canning Basin is fast becoming a hotspot for conventional and unconventional gas with an estimate of 47 TCF gas in the Laurel formation at Canning Basin. Not only that, but Western Australia’s gas prices have tripled from $2.5 per GigaJoule (GJ) to $8 GJ – just how much higher can they go? High gas prices are great news for REY, and remember that REY’s Fitzroy Blocks cover all three key trends in The Canning Basin. For REY, this is the “cream on the doughnut” – The beginning of commercial activity in the Canning Basin by Buru & New Standard Energy AND an all-time market high selling price for domestic gas. As you can see, the interpreted extent of the Ungani oil trend heads diagonally straight across EP 457, taking up almost half the square kilometres of EP 457 in the Fitzroy Blocks. 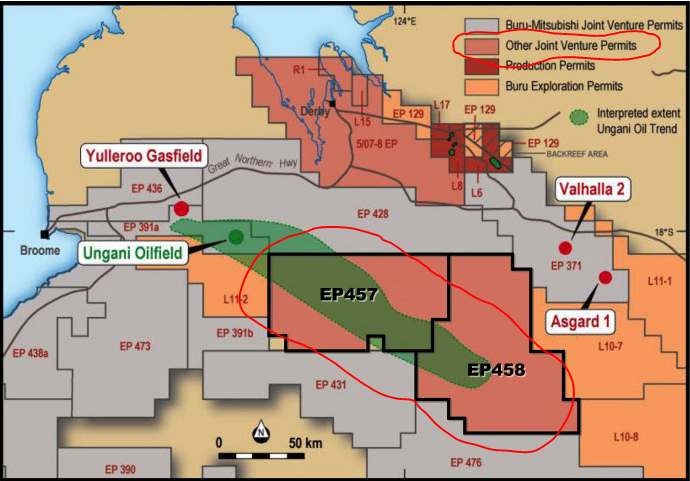 The Fitzroy Blocks are SURROUNDED by interests held by Buru, Mitsubishi, New Standard Energy and ConocoPhillips. We’ve described this as REY being the “jam in the doughnut” – any discovery in the surrounding blocks will impact positively on REY’s share price. It looks like the designer of Buru’s logo might have predicted the increase in Buru’s share prices before the market did. PERFECTLY POSITIONED – REY WILL BENEFIT FROM ANY FINDS BY JV PARTNER BURU. 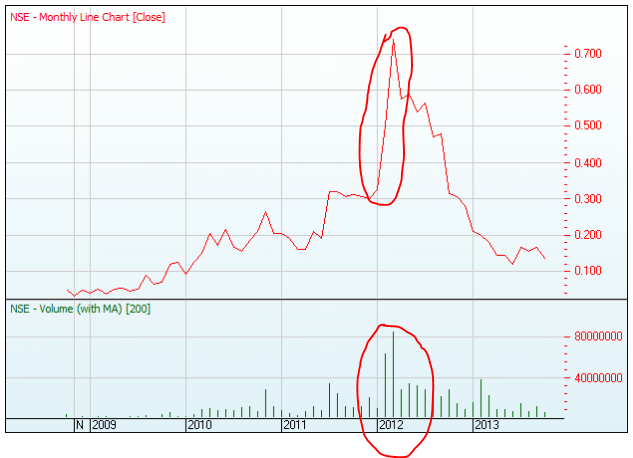 As you can see, Buru’s share prices more than tripled in the Jan-Mar 2012 financial quarter when the company discovered oil at Ungani. Savvy investors get in before the masses and try to “ride the wave”... the team at The Next Oil Rush has added REY to our portfolios given REY’s upcoming exploration and the increasing exploration activity of surrounding permit owner BRU. Note to traders* The publishers of this article/information/promotion wish to disclose that they may hold this stock in their portfolios and that any decision to purchase this stock should be done so after the purchaser has made their own inquires as to the validity of any information in this article/information/promotion. All it will take is one great discovery by Buru in or nearby the Fitzroy Blocks and REY will cash in! Highly ranked in the world for known unconventional shale gas resources, Canning Basin has historically been a potential coal plain, despite being recognised as a potential oil and gas resource since the swinging 20s. It is still almost entirely frontier territory for conventional oil and unconventional gas play, with only 250 wells sunk in the last century, or 4 wells per 10,000km 2 . Consider this in relation to North America with 500 wells per 10,000km 2 , and a now $150 billion industry in gas and oil that has put America back on the map as an energy industry power in just three years. America’s oil fields are a good comparison to the Canning Basin. With the long-term potential for unconventional gas in the Canning Basin (remember, an estimated 47 trillion cubic feet in unconventional gas) the Canning Basin is a geologically similar to America’s giant oil fields of the North American Mid-Continent. America now estimates it produces more than 34% of its natural gas from unconventional extraction . With the geological similarities between Canning Basin and America’s shale gas reserves, this may one day mean good news for REY if production costs prove viable with the increase in Australia’s domestic gas prices. It only takes one find by Buru (which completely surrounds REY’s Fitzroy Blocks), to potentially ignite the REY share price. With REY’s exploratory prospects for conventional oil in the Fitzroy Blocks with JV partner Buru in 2014, and the massive future potential of unconventional gas exploration pumping straight into a domestic market in Western Australia where gas prices potentially doubling and tripling ... all give us strong reasons to add REY to our portfolio. We are anticipating REY shares to increase based on conventional oil play in Fitzroy Blocks alone... One day we could be talking about REY’s Laurel and Goldwyer formation style shale gas and unconventional oil potential too. 1. Assets: What assets do the company own? Which asset is most important? Is the asset base diversified? 1) Broker a deal with Crystal Yield Investments Limited (Ricky Holdings) to purchase a 19.9% share in REY, and generate $6 million in cash. 3) Continue to roll out the Duchess Paradise project subject to final permits. This asset can potentially be sold when coal prices rebound. 2. Market Sector: Is the company operating in an up and coming (or underappreciated) market sector? We ask ourselves this question when analysing a company for its market sector–Is the company in an up and coming market sector (or underappreciated market sector)? We’ve found a big fat YES to this for REY. 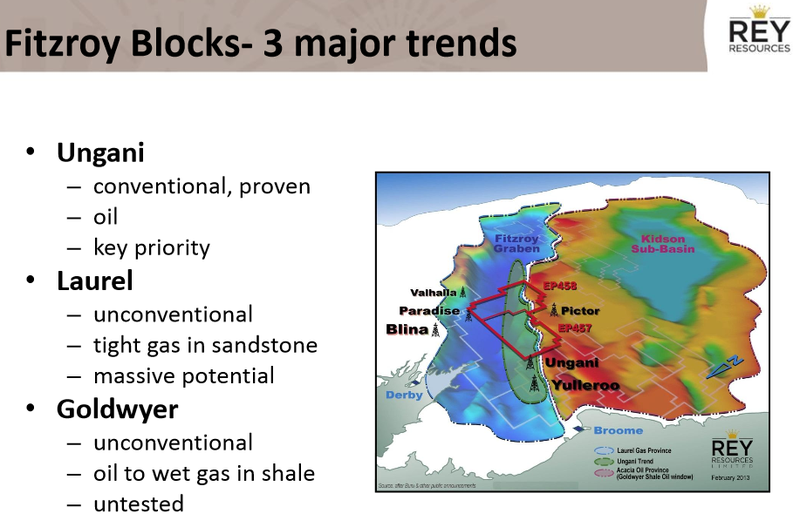 REY is surrounded by JV partner Buru (just think of all that jammy doughnut goodness), and any future find by Buru relating to conventional oil play or unconventional gas play either in the Fitzroy Blocks or nearby can have a huge impact on the market perception of REY and value of the Fitzroy Blocks. As you can see, global demand for energy is going up by 50%. Not only that, don’t forget Rey has a simple yet diversified business plan (we’ll go into this in more detail below for upcoming price catalysts) to generate cash flow from a number of sources. With a history in coal exploration, they have one coal project, the Duchess Paradise, almost up and ready to go, 2-4 wells for exploration planned for 2014, $6 million in cash to fund this exploration, and first dibs with JV partner Buru in The Fitzroy Blocks. Meanwhile, with Buru surrounding them, any find Buru makes that may extend into Fitzroy Blocks is a win for REY. 3. Political Risk: What is the political risk of the country the company is operating in? In Australia, aside from the Resource Rent Tax– the biggest political risk is inadvertently catching a glimpse of Tony Abbott sporting his red budgie smugglers. Western Australia rates in the top five for ease of interaction between mining companies and state government. Western Australia deters less than ten per cent of its potential investors with great trade policies. 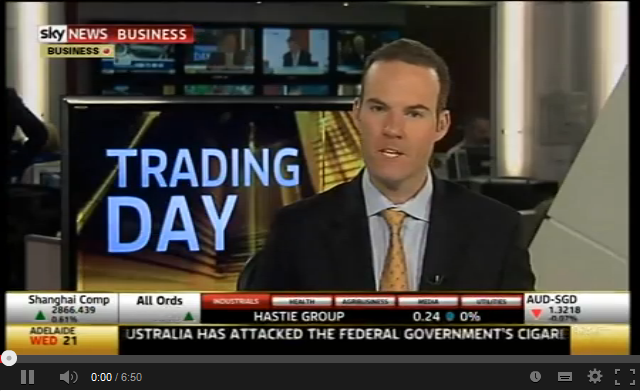 We talk below about how access to overseas markets increases the price of domestic sales for a double win. We at The Next Oil Rush believe in ‘telling it like it is’, and sometimes that means talking dirty–talking politics, excuse us! And sometimes it means talking even dirtier–and talking tax. Even if you had been living under a rock for the past few years, you would have picked up on the fact that taxes in mining have been a hotly debated topic in Australia. But interestingly, part of REY’s long-term business plan comes into play here. 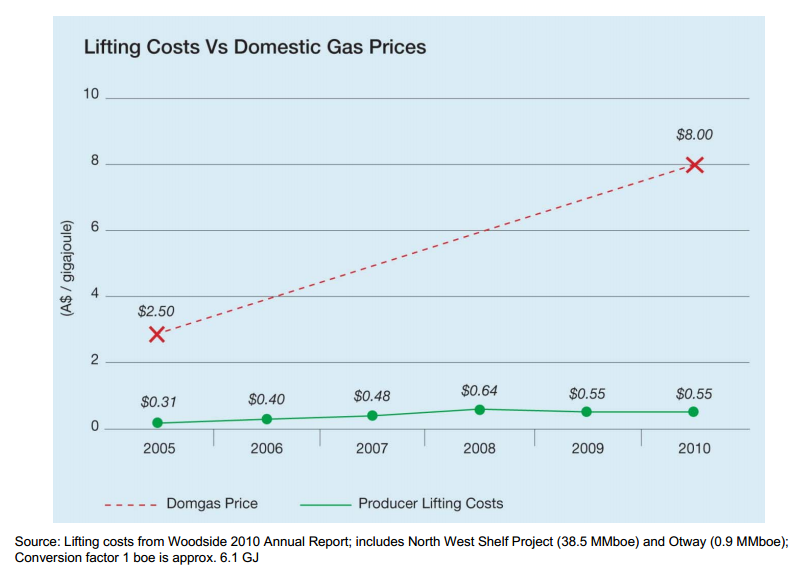 LNG is far more expensive to buy as an export from Australia than as a domestic sale. What does this mean for businesses like REY who are looking at exploring natural gas for conversion to LNG and for unconventional wet gas? It means domestic prices for natural and LNG gas are predicted to double and triple to keep up with the export competition! We mentioned this at the start of our article as a potential major benefit for early shareholders in REY. Now, think about it. What happens when a government puts up the tax rate on business sales? The business increases the price of its product to its domestic customers to compensate for the loss in the business’ profit margin. Isn’t this exactly the same as the above, when higher export prices drive up the price of domestic consumption? You know the answer! And if you don’t, just ask the shareholders of REY! Taxes, exports...you say ‘tomato’; we say ‘tomato...and cash’! 4. Price Catalysts: Are there upcoming catalysts? We are keenly awaiting REY and their joint venture partners to embark on their two to four well campaign including the Fitzroy Blocks and Ungani trend, including any drilling by Buru and Mitsubishi in the surrounding doughnut of blocks. We believe, with the profitability in the US using unconventional oil and gas extraction, which is the same technique that the geologically analogous Canning Basin could potentially use to extract its reserves of wet gas and oil shale, the market has previously demonstrated enthusiasm for unconventional oil and gas resource discoveries. With REY geographically well positioned to benefit from any relevant discoveries by Buru in the future in conventional oil and unconventional gas and oil in the Canning Basin, particularly if the Laurel and Goldwyer formations are focussed on, these could be up and coming price catalysts for REY. 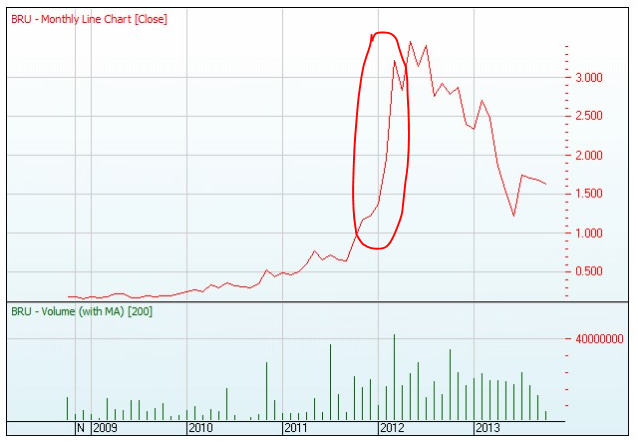 From a junior mining company investor’s point of view, the beating share prices in mining have taken across the board due to the GFC, falls which these share prices have just started to recover from, has combined with a turnaround in business activity to perfect advantage for the canny investor in the Canning Basin. Global recession recovery means companies are beginning to do business again, and this primes the way for those price catalysts we discussed above to kick in. Normally high return shares are also high risk. One thing we enjoy about our REY shares are the buffer their simple but diverse business plan offers. Going along for a 25% ride on the prized Fitzroy Blocks with JV partners Buru and Mitsubishi is a pretty sweet deal. 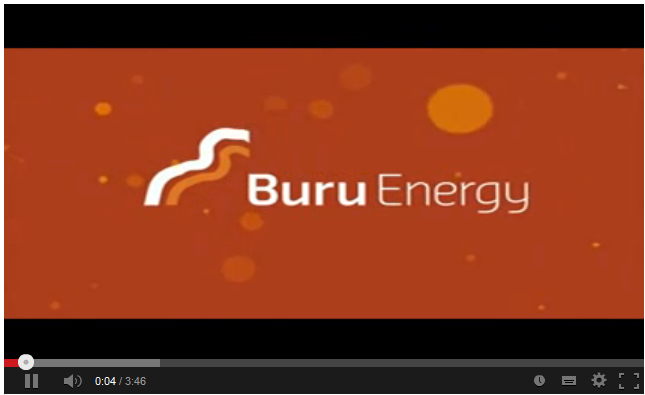 As we mentioned above, Buru already struck it rich with their oil find on the Ungani trend. It only takes REY one opportunity to have a similar discovery in unconventional gas in Australia for them to potentially follow suit. Remember, you heard about REY first at The Next Oil Rush . For up to date information on REY follow REY on Twitter and like REY on Facebook .